John Curtin leads Australia in Sid Meier’s Civilization VI! Australia grows and thrives in territory, where other civs would have difficulty, by getting full Housing from coastal starts. 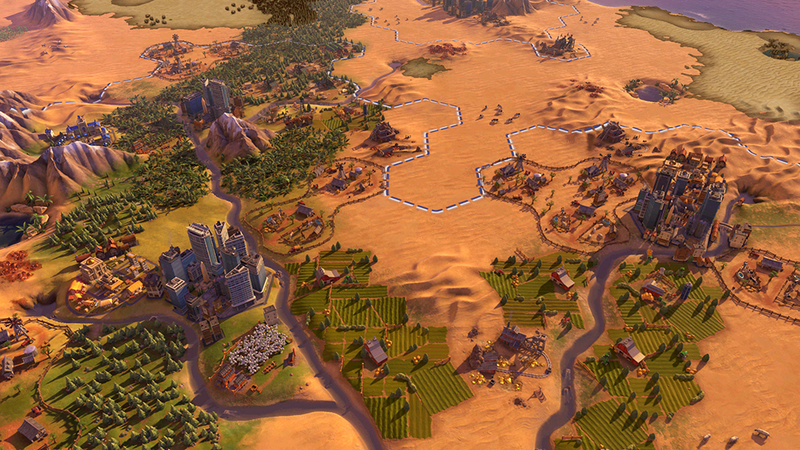 Their districts get improved yields when built in attractive terrain. John Curtin provides bonus production to Australia when they have been the target of a declaration of war, or have liberated a city. 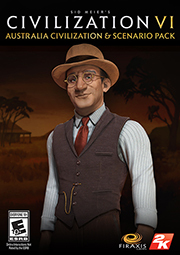 This pack also includes the new “Outback Tycoon” scenario: can you accumulate your fortune by striking gold, creating massive herds of livestock, or by preserving this land's natural beauty for future generations? -Civ Unique Ability: Australian coastal cities always receive extra Housing. 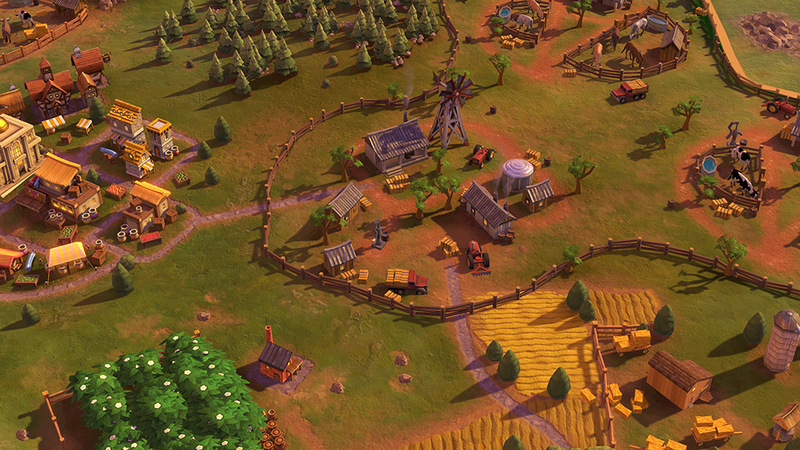 Pastures also trigger the Culture Bomb effect, grabbing adjacent tiles from other civs and City-States. Yields from Campuses, Commercial Hubs, Holy Sites and Theater Squares are enhanced in attractive terrain. -Leader Unique Ability: John Curtin’s unique ability is called “Citadel of Civilization.” Australia gets bonus production at the start of a Defensive War, and when it liberates a city. 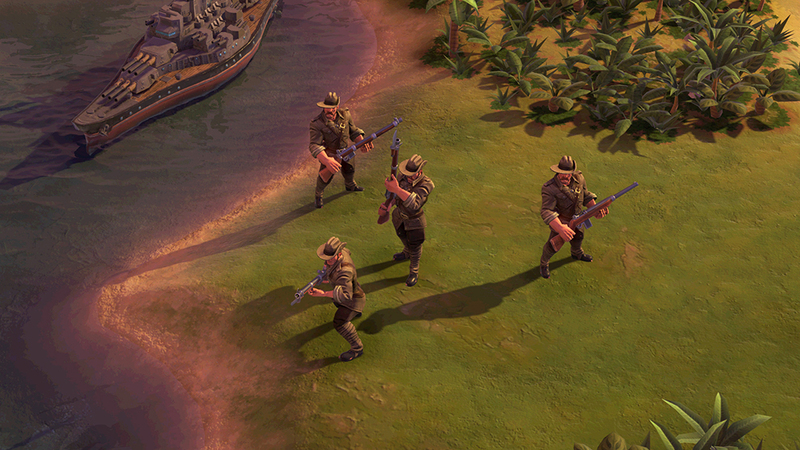 -Unique Unit: Australia’s unique unit is the Digger, which gets bonuses to combat on land tiles adjacent to water and when fighting outside their territory. 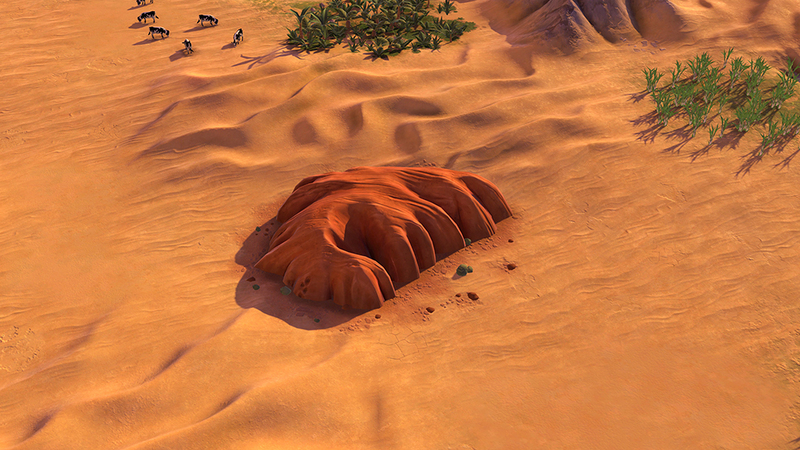 -Unique Infrastructure: The Outback Station is a tile improvement that unlocks with the Guilds civic, and can be upgraded with Steam Power and Rapid Deployment. It provides food and production, with bonus food for adjacent Pastures. -This uniquely economic-focused Scenario has you take control of one of four Colony Governments as you compete to explore and develop the natural beauty and wealth of Australia. -Includes unique units and gameplay effects, with no combat between players. 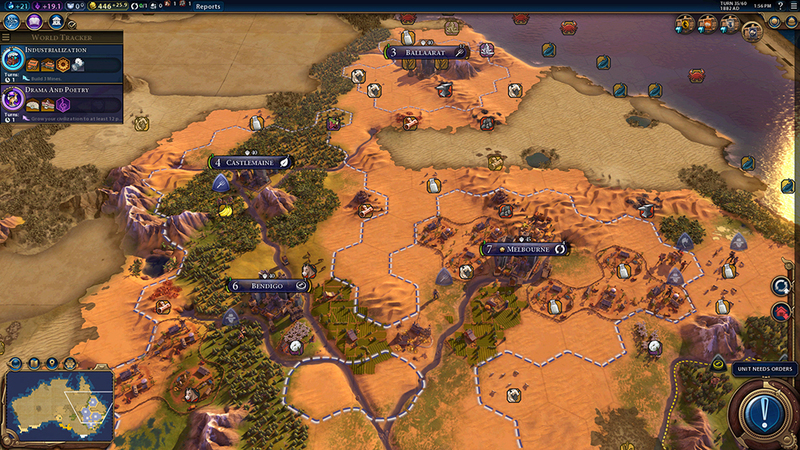 -This desert wonder provides bonus Faith and Culture to adjacent tiles. Requires Sid Meier’s Civilization® VI. Game sold separately.